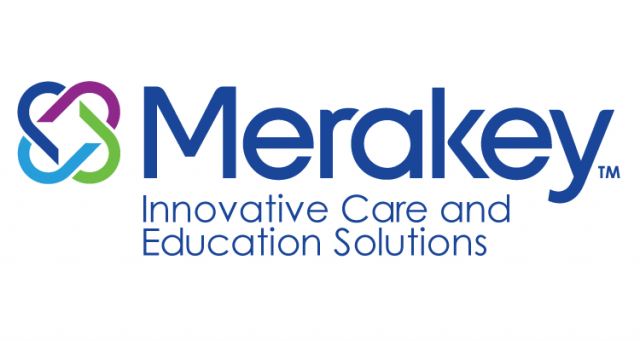 Developmental and behavioral health and education provider NHS is now Merakey. The community-based nonprofit, which serves about 1,000 per year in western Pennsylvania, launched a new logo and name, which is inspired by the modern Greek word meaning to put something of yourself into your work, or to do something with soul, creativity and love, according to a news release. Leaders of the organization wanted a new name to unify it and reflect the compassion for clients conveyed in its services, said Dorothy Gordon, executive director of development and communications for Merakey. “They really looked to a new name that would capture the heart and soul of what we do,” she said. The organization hosted events Monday as a part of the launch, including a proclamation with Butler County Commissioner Kevin Boozl at its Slippery Rock location, plus appearances by state Rep. Anita Kulik and U.S. Representative-elect Conor Lamb, Gordon said. Founded in 1969, the organization has locations in eight states, including Pennsylvania, with more than 10,000 employees. It is ranked as the fifth-largest health and social services nonprofit and the 34th largest employer in western Pennsylvania by the Business Times. “We are a big presence in the region and now we’re all uniform under the name Merakey,” Gordon said.